“I love the smell of alt data in the morning.” That was me a few years ago, but after a few tours, you might say I’ve had it up to here with alt data (you can’t see, but I’m holding a hand up to about alt data height). There is definitely some phenomenal alternative data out there, but let’s not overlook traditional data too quickly. And no, in this instance I’m not referring to prices, fundamentals, or estimates. Rather, in this case, let’s ignore using traditional data in traditional ways and use it instead to apply some alternative methodology and generate alternative views. 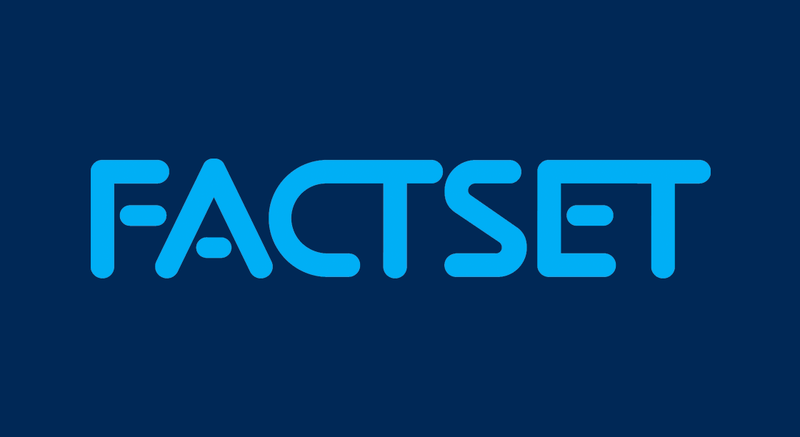 Specifically, I’m looking at FactSet’s extensive history of M&A data and applying a simple grouping to buyers based on their recent volume of activity and making comparisons across groups. The goal, as always, is to see where we might identify outperformance. Using FactSet M&A, I’ve classified the companies in the S&P 500 into four buyer categories: Aggressive, Frequent, Infrequent, and No Deals. I’ve done this at year-end for the last 21 years, and using backtesting, we’ll be looking at the constituents in the S&P 500 and their deal activity at that specific point-in-time. Rather than compare absolute performance for the groups, I focused on performance relative to the S&P 500, to see if there was any positive variance among the categories. 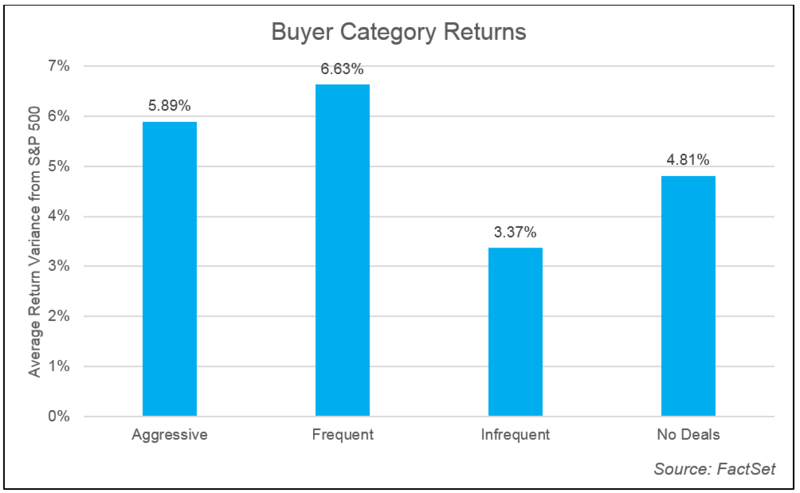 First, over the last 21 years, companies that are Frequent, but not Aggressive buyers, in aggregate have returned better annual results. This suggests that buying too much (expanding too quickly via acquisitions) can lead to operational issues that impact share price performance. The tortoise and the hare come to mind. Second, I did a simple ranking of returns each year (including the S&P 500), to see how the groups performed against each other in aggregate. If you had picked the top group each year you'd have gained 1.45% more than the next highest. 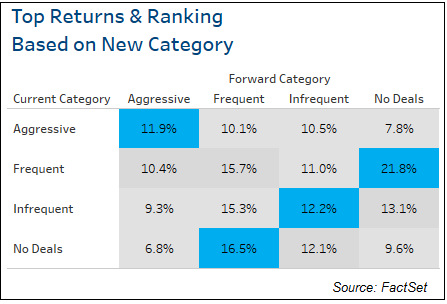 Third, given these aggregate results for the current category and current returns, I looked at the movement across categories each year to see if the current results informed the following year. 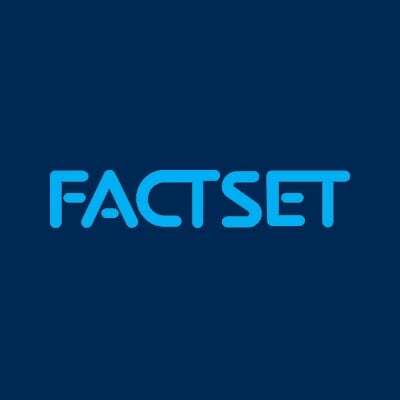 It’s one thing to know the returns and the categories at year-end, but identifying whether the current category has any influence on the following year’s returns is certainly more helpful. This analysis requires some additional context as the movement is interesting in its own right. The initial results indicate that there is not a strong relationship between the returns from the current year category and the returns from the next year category. In the scatter plot below, there isn’t a best fit for the model and the correlations are low. Regardless of the return results, there is still plenty to learn. Most companies tend to stay within their initial categories, though there is some movement as companies find increased (or decreased) opportunities for deals and consolidation waves pass through industries. 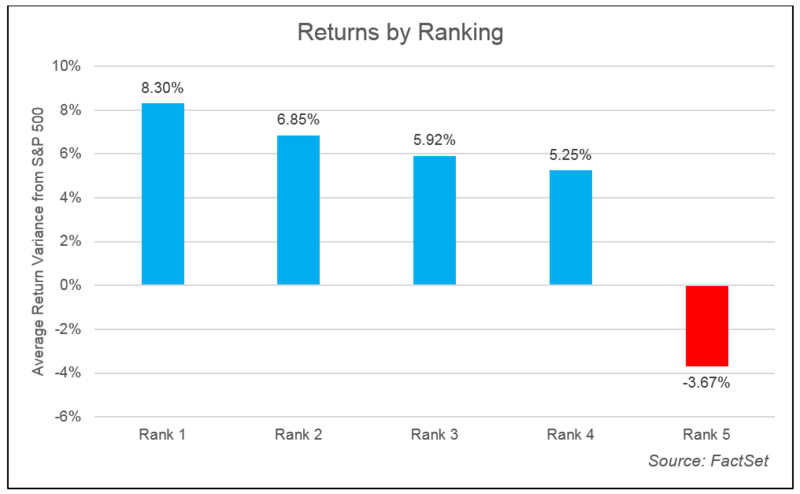 When looking at this movement and the returns across the various categories, you can see the comparative returns of the initial category and following year category, with rankings for both. 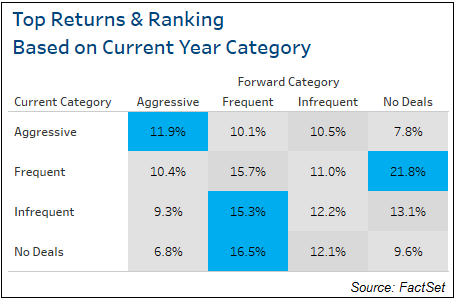 This shows that companies that are Aggressive buyers in the current year perform better when they stay Aggressive the following year (highlighted in blue). Similarly, of all the companies that are in the Aggressive category the following year (vertical), those that were Aggressive buyers in the prior year perform better. 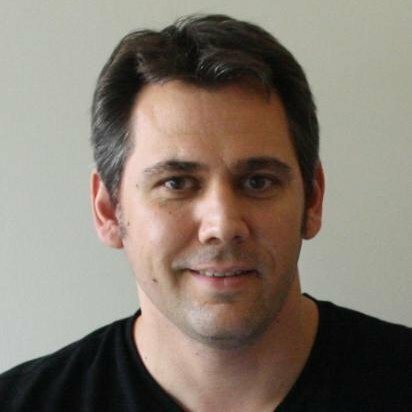 In general, companies that are very active buyers likely have a system in place for identifying and integrating acquisitions that benefit shareholders while companies that first move into the Aggressive category don't yet have the operational template in place (particularly companies that had no prior deal experience and suddenly decide to make a bunch of acquisitions). 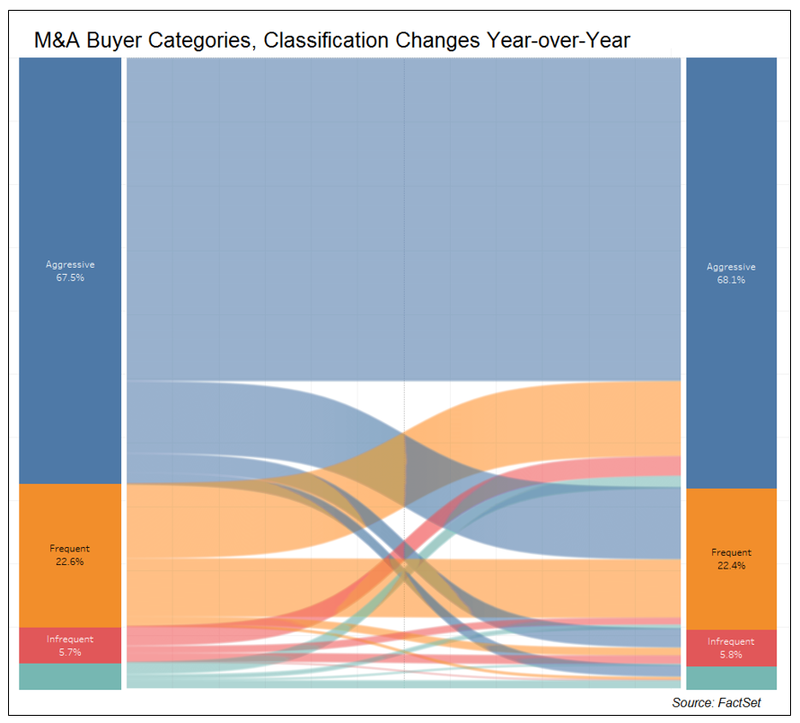 Another interesting find in this year-over-year comparison is that there appears to be an inverse relationship between Frequent buyers and companies that have not made any acquisitions. For example, companies in the current year that made no acquisitions performed better in the following year when they became Frequent acquirers. 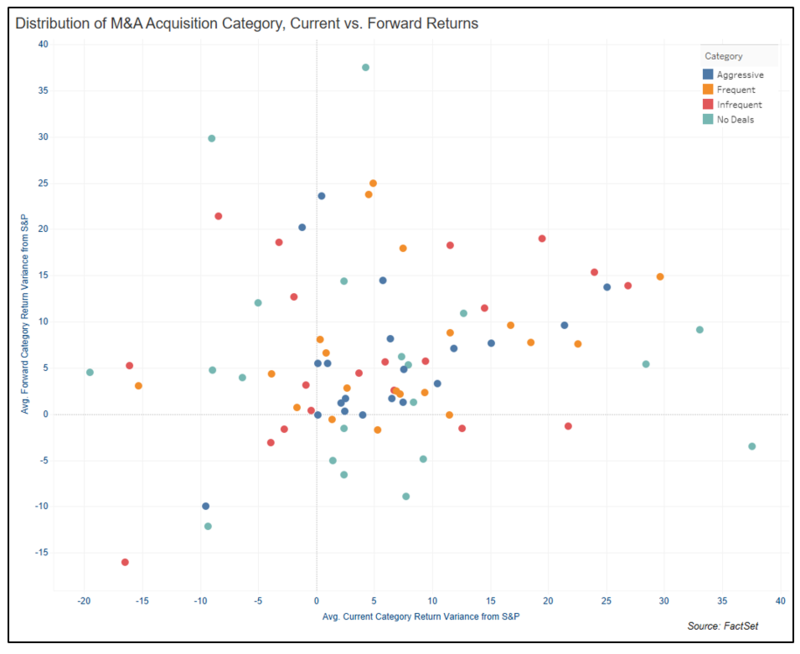 Conversely, companies that were Frequent buyers in current given year performed better when they reverted back to no acquisitions in the following year.